If you aren’t taking vitamins, you should really reconsider. I’ve been living good and feeling better with my custom Care/of vitamin packs. It’s super important to treat your body like the temple it is. Unless you’re eating a perfect diet, then chances are that your body isn’t getting everything it needs to function at it’s best. 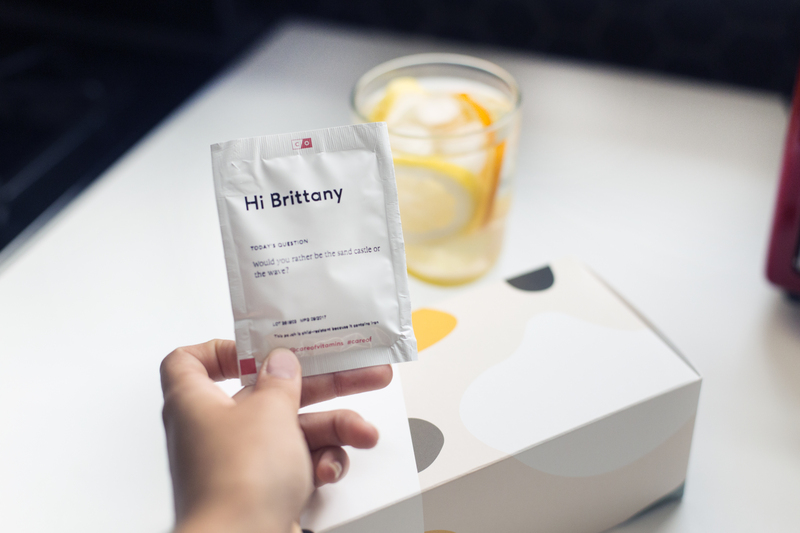 Care/of makes it amazingly easy to feel good and function better with their custom vitamin packs. They’re miracle workers, I swear. 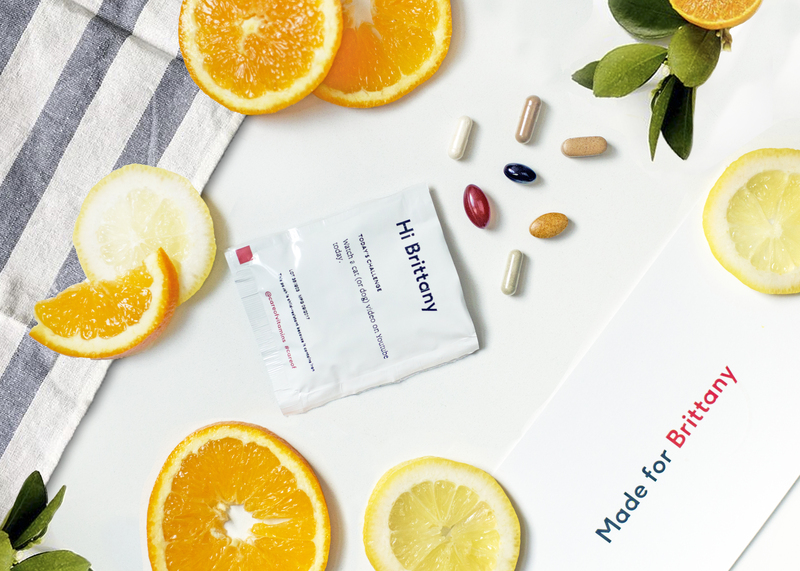 You can use my code GYPSY50 to get 50% off of your first month of vitamins! A lot of people shy away from vitamins because they aren’t sure about what they do or what they should be taking. 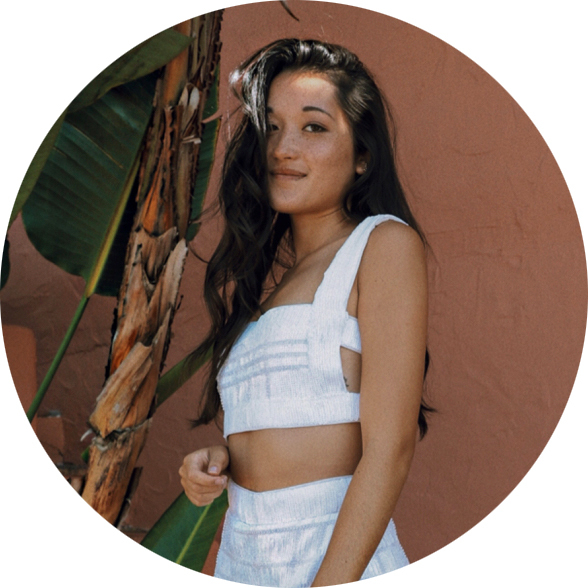 Care/of makes sure that they get to know you, your diet and your lifestyle before creating your individualized vitamin pack with a few quick and easy questions. I definitely am a lot more informed about my body and it’s needs through Care/of. They take the time to explain why they’re suggesting the vitamins they are, including scientific evidence for it’s benefits. I can’t over exaggerate how important it is to give your body the proper essential vitamins and nutrients it needs to get through the day. Are you feeling over-tired, unfocused, unmotivated? Lots of times it’s caused by a vitamin or nutrient deficiency and the fix is as simple as taking a few vitamins to supplement the ones your body is already getting from your diet. To be totally honest, I feel 100x better since starting my Care/of vitamin regimen. I always struggled to get through my day and felt constantly tired and unmotivated. Turns out that I was missing a serious number of essential vitamins in my diet, which was slowing me down throughout my day. I’m functioning at my best with the help and guidance of Care/of and it really does feel amazing. 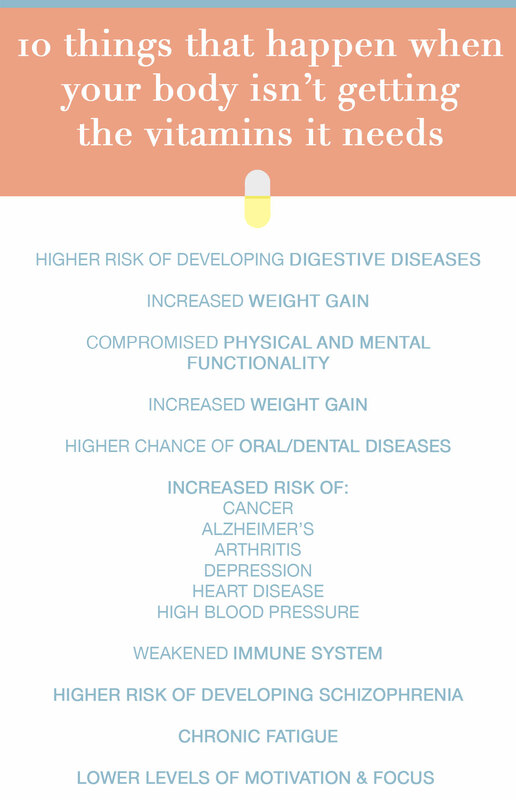 Check out the list below for some of the shocking things that can happen to your body if you aren’t getting enough of the right vitamins and minerals! There are hundreds of reasons to take care of your body and zero excuses not to. Be sure to check out Care/Of to get informed and get on your way to the best version of yourself. I need to be better about vitamins! Thank you for sharing! this is so true!! love love this informative post. Ohhh this sounds amazing!! I need to take more vitamins! Yes! It really does make a huge difference in how I feel on a daily basis. I take a vitamin C supplement every day- it especially helps boost my immune system in the winter when everyone is sick! such good information babe! thanks for sharing this! Of course, babe! They have prenatal and postnatal vitamin packs, as well, if you’re interested!